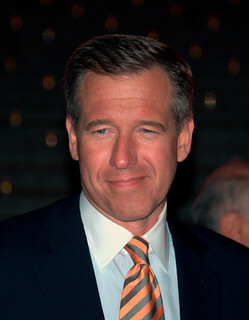 This is not to take up for Brian Williams. We do not like to be lied to for egotism, for self-promotion, or for just plain bias. The bias lies are the hardest to identify. Unfortunately, news anchors of all broadcast stations any more seem to present the version of the news that is tilted in the "proper " direction, in line with government, military, Wall St. propaganda. Never balanced with another side of a story. When Scott Pelle, for example, says he is presenting fair, accurate information, his snide comments and labeling of people and events he disagrees with tell the real story. When the Sunday Morning talk shows invite Congressional and military propagandists, never a person who dissents from the approved line, there is an obvious answer: discrimination. It's time to look elsewhere for the truth. So lies come in all varieties. Shame on Brian Williams, shame on Hilary Clinton, but especially shame on tv networks that are spreading untruths on far more important stories than whether Williams was on that helicopter.